There are 1.5 BILLION Facebook users and 1 BILLION of those users are on the network every day (August 2015). It’s almost a no brainer for us to use Facebook’s advertising platform when trying to build business for our customers. Think about all of those parents looking at Facebook! Since launching Facebook ads as a service, we have seen amazing results. The majority of our customers are now running paid Facebook ads, and we’re excited to announce our newest packages next month at IAAPA Attractions Expo in Orlando which will all include, what we call, a Facebook Sweep. The Facebook Sweep will be the new standard for TrustWorkz. So how does Instagram fit into this conversation? Let me explain. 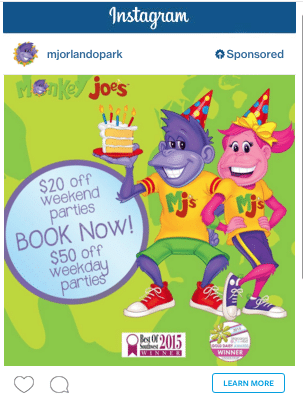 Our friends and customers at Monkey Joe’s graciously offered to let us push Instagram ads for their locations in 2016. Some locations were eager to get started early, and we were happy to oblige. Instagram, as of September, has 400,000,000 active monthly users. When you compare it to Facebook, it definitely has some growing up to do. 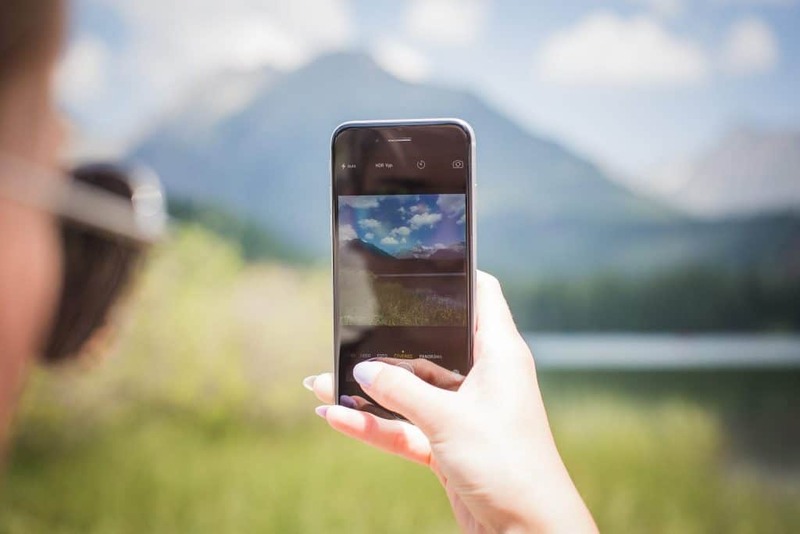 However, Instagram is owned by Facebook, and it utilizes the Facebook Ad network. 78% of Instagram users fit into most FEC’s (family entertainment centers) target customer base of 18 to 40 years old. We began our test with Monkey Joe’s in Orlando, Florida. Our test included the same offer and ad copy with Facebook website clicks and Instagram website clicks. Both ads shared the same targeted demographics and identical budgets. After 7 days of running these ads, we reached 1,000 more users on Instagram and our click through rate (clicks to the website) were 30:1 for Instagram clicks to Facebook clicks. As mentioned, we love Facebook ads. They’re very affordable and they work. However, Instagram ads are proving to be a huge opportunity. It could be that ads just haven’t been tapped into yet by most small businesses. We often say, “marketers haven’t ruined it yet.” If you want to learn more about using Instagram ads to help boost your business, contact TrustWorkz today and ask us about our new Birthday Boost package!